Very clear and synthetic, the reader is guided all the way through. Perfect for many kind of backgrounds. 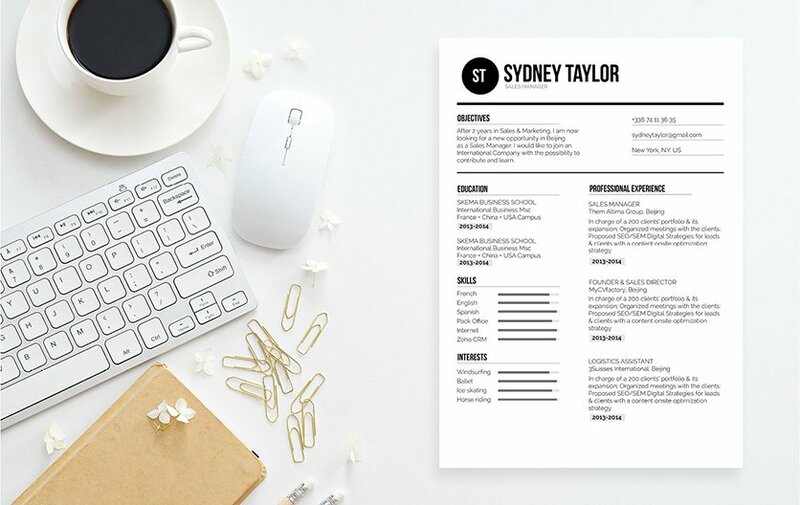 CV template to download "Correct"
The Correct Resume uses a very clear and modern design that effectively guide the reader through the key parts and phrases of your CV, which makes this resume perfect for any type of job. Applicants who possess a solid set of skills and experiences will also find this resume a great fit as it lists down all your qualifications with great detail, which will surely increase your chances of landing that dream job! Make your resume more attractive by giving it a clear and comprehensive format! That resume of yours might just be your ticket to landing that dream job! Most resumes are reviewed for only 10-30 seconds—it doesn’t get a full reading the first time through! Therefore, all your content must be written in a well-structured format that is easier to read. To achieve this, use a professional looking font like Sans Seriff or Helvetica. Select a font size between 11 and 12, and use italic/bold font faces to help guide the reader in reading your resume. Make good use of symbols and graphics to highlight the parts of your resume that need emphasis. 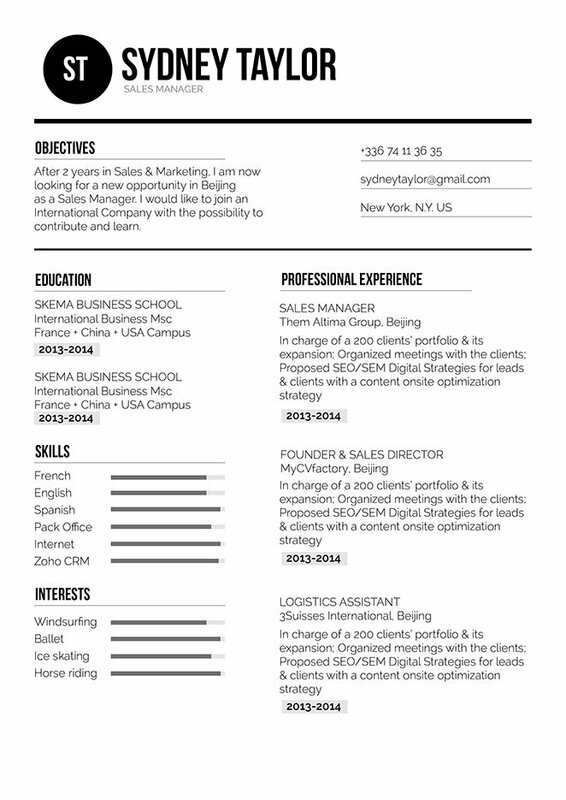 Finally, give your resume a logical format by using wide-margins, headings, and subheadings.